HURON, Ohio--(BUSINESS WIRE)--n2y, a leader in producing special education materials, today announced that its acclaimed curriculum solution, Unique Learning System® (ULS), recently won two Best Educational Software Awards (BESSIE) in two categories: Teacher Tools and Multi-Level Solution. 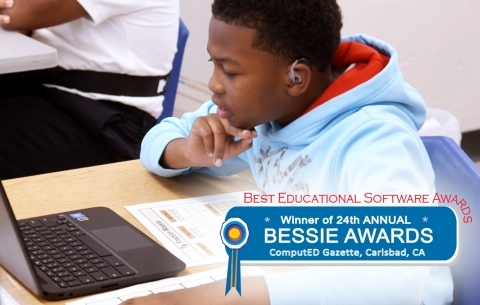 The BESSIE Awards follow EdTech Digest naming ULS the “Best Special Needs Solution” and receiving an SIIA CODiE in the same category. Now in its 24th year, the Best Educational Software Awards are determined by The ComputED Gazette, an outlet widely recognized as one of California’s leading educational resources. The Awards target innovative and content-rich programs and websites that provide parents and teachers with the technology to foster educational excellence. Selection criteria includes academic content, technical merit, subject approach and management system. The BESSIES has had the distinction of previously being co-sponsored by the CBS-affiliate in San Diego (KFMB-TV). n2y's Unique Learning System platform wins another best-in-class award for special education learning.